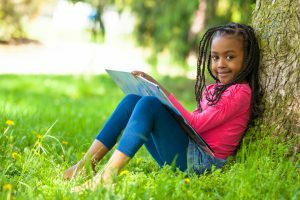 The Roads to Reading Literacy Initiative is a nonprofit organization that donates new books and educational resources to schools, non-profits and childcare centers serving children in need, from birth to age 16. Please read our donation guidelines here. The Roads to Reading Literacy Initiative (RTRLI) makes new, high-quality reading materials available to schools, non-profits and childcare centers like yours thanks to corporate and private donors. We take our promise to our donors very seriously. So, by registering, you’re giving us the information we need to ensure that the books we are donating reach organizations that serve children with the greatest need. The Roads to Reading Literacy Initiative does not share your personal information. Important Notice: The Roads to Reading Literacy Initiative will not be accepting unsolicited book donation request for the 2019-2020 grant making year. Our book donations will be restricted to local organizations in the greater Boston area that will be selected by our Program Director. Example: I am the Director of an after-school program that provides tutoring for 4th and 5th grade struggling readers. Our program is located on the school grounds of A. B. Tibby Elementary school; we serve 40 to 70 children per year for the last 5 years. How long has your organization been in existence? How long has your programming been in existence? Does your organization have a 501(c)3 Tax Exempt Status issued by the Internal Revenue Service? If yes, what is that number? Which of the following best describes your organization? Do you receive support from any of the following organizations? Please allow up to three weeks to have your registration request reviewed. We will respond to each registration request by email within the three week time-frame. Thank you for your interest in the Roads to Reading Literacy Initiative. The Roads to Reading Literacy Initiative is an Initiative of Pathways Within, Inc.